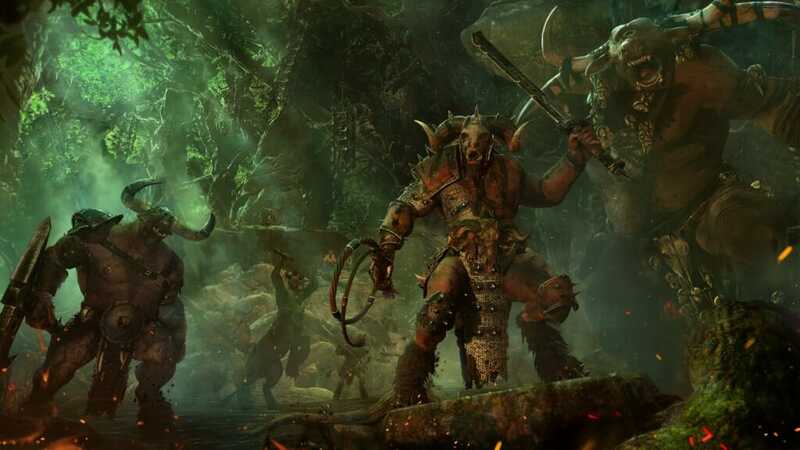 Endlessly seeking out conflict both within and without, Greenskin hordes roam from the Old World in search of worthy opponents to stomp into the ground. At the head of each is a Warboss. The only way to earn this rank is to murder the current Warboss. As such it is a title earned by only the biggest and nastiest Orcs of the lot. Greenskins live to fight, and if their Warboss cannot sate their appetite for battle, their numbers will dwindle as infighting takes hold. When word spreads of a truly might Warboss however, momentum builds quickly. With each successive victory, more and more Greenskin mobs join the horde. Eventually, these patchwork armies merge to become a WAAAGH! – An unstoppable Green tide that leaves nothing but ruin in its wake. 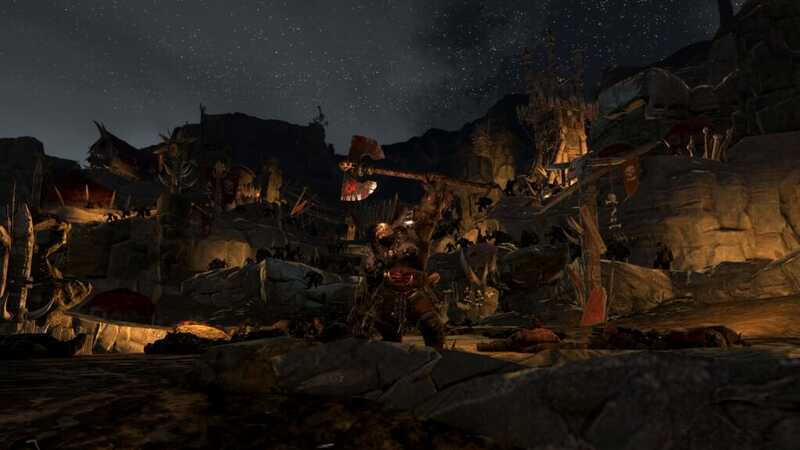 – The Greenskins’ armies comprise a host of Orcs and Goblins with a supporting cast of Trolls, Giants and Spiders. 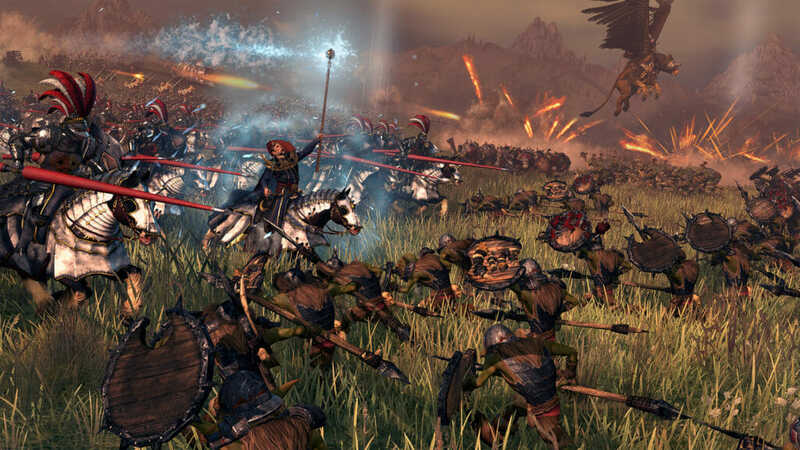 The variety of units within their roster means that a Greenskin army is highly versatile and adaptable. – Fightiness! 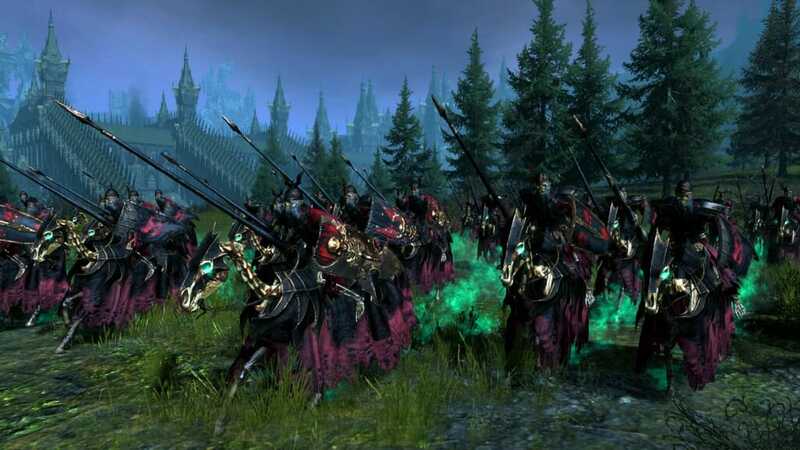 – Greenskins live to fight. Make sure yours have plenty of enemies to stab at, and make sure they win. Go too long without a successful battle and your troops will fall to infighting, suffering attrition as camp arguments are settled. 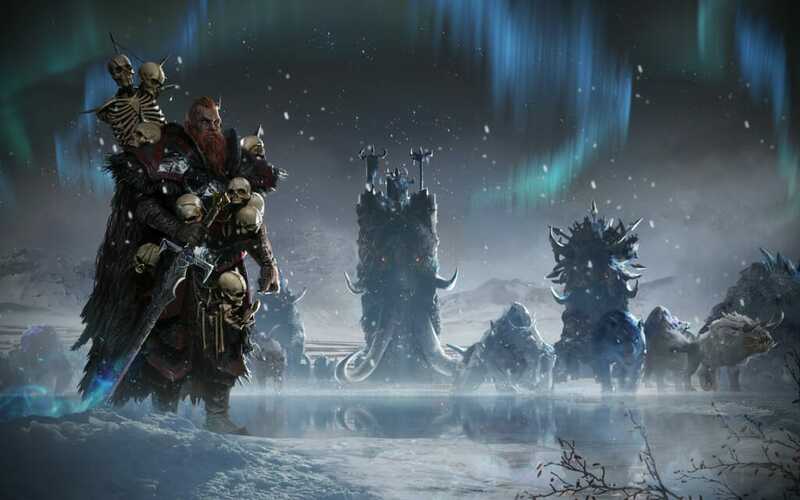 – Their constant thirst for battle doesn’t stop with their enemies, as such Greenskin tribes are constantly fighting. 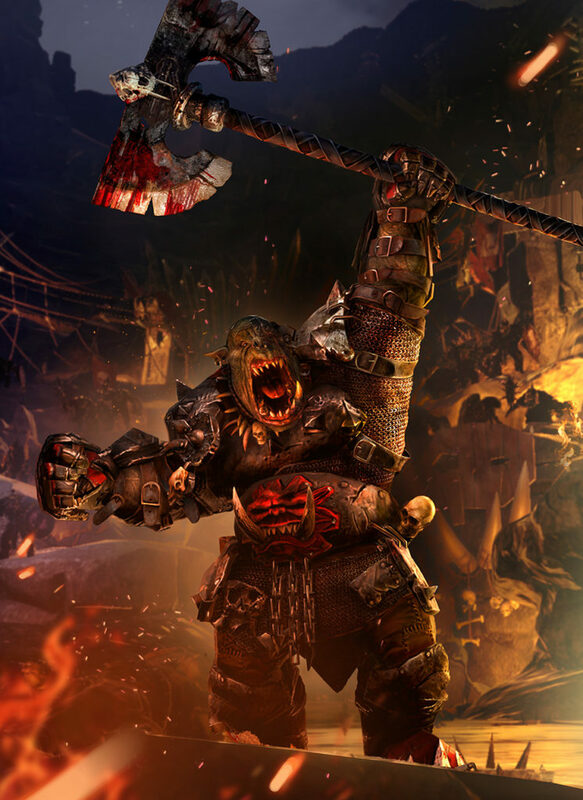 Settle these petty quarrels, unite all Greenskin tribes under your banner and unleash their combined fury in a WAAAGH! the likes of which has never been seen. 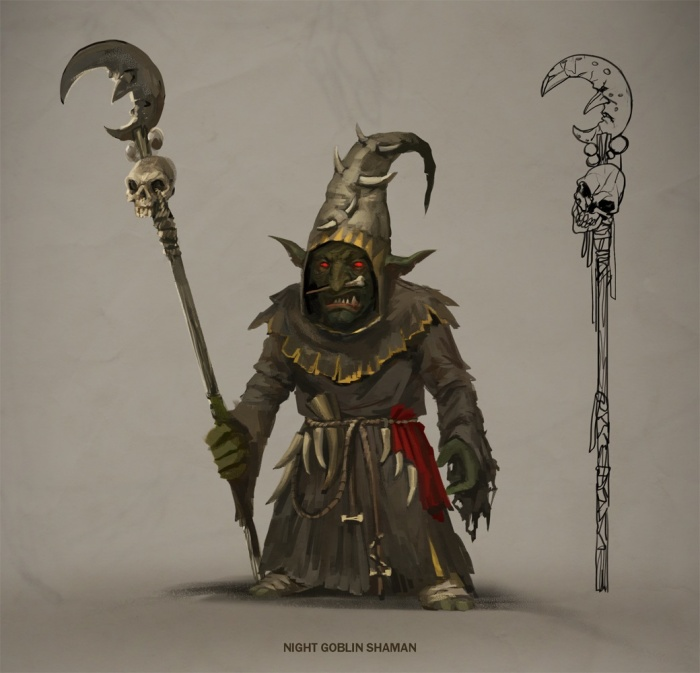 – Night Goblin Shaman Night Goblin Shamans wear the easily recognisable hoods of their kind. They dwell in caves and tunnels, only emerging when the sky above is dark. Night Goblins cultivate all sorts of potent and mysterious fungi deep in the dark places of the world, and the Night Goblin Shamans are the most knowledgeable in this regard. They consume vast amounts of these mushrooms in potions and rituals and as a result are known for being exceptionally deranged, even when compared to other Night Goblins. – Azhag the Slaughterer – Melee o Faction-wide trait: ‘The Evil Crown’ – Azhag’s affinity with dark sorcery can be sensed by all who come into his presence. For this reason, fostering relations with the undead is much easier for him.